Preview of the Delaware Art Museum's Exhibit "An American Journey: The Art of John Sloan"
Preview of the Delaware Art Museum&apos;s Exhibit "An American Journey: The Art of John Sloan"
The state of Delaware has a long history of embracing the arts, and the Wilmington Society of the Fine Arts has been a driving force in promoting that history since the early 1900s. Because of that rich history, we have facilities like the Delaware Art Museum that are constantly enhancing our lives through the appreciation of art. Continuing that tradition, this October, the Delaware Art Museum will unveil their next great exhibit, An American Journey: The Art of John Sloan. Born in Philadelphia during the late 1800s, John Sloan would grow up to become one of the most interesting American artists of the early 20th century. He was classically trained at the Pennsylvania Academy of Fine Arts, but rejected many of the common assumptions regarding the focus of his work and preferred to express the working-class lifestyles that he saw in front of him. Sloan really dove into his focus on working class subjects after moving to New York City in 1904. His realistic work would do little to help him win favor with critics in the city, so he and other similar artists would host their own independent galleries and showings. 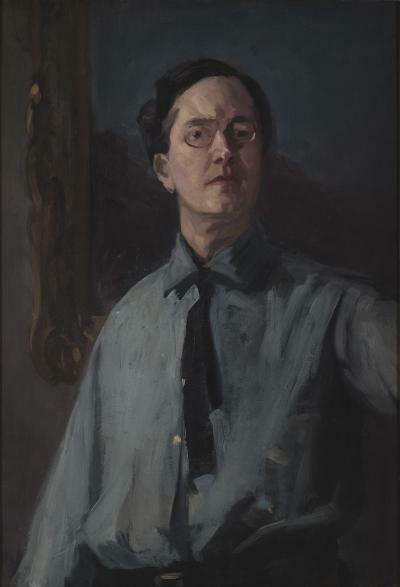 Later in his life, Sloan would also spend time in Massachusetts and New Mexico, where he would find even more inspiration for his work. No matter where he was living, he was always capturing the essence of the world around him. In order to celebrate the work of John Sloan, the Delaware Art Museum&apos;s Chief Curator and Curator of American Art, Dr. Heather Campbell Coyle, has pulled together an astounding collection of pieces that showcase Sloan&apos;s entire career as an artist. This will be the first full retrospective of Sloan&apos;s work since a 1988 exhibit that was also held at the Delaware Art Museum. Because the museum has such an extensive collection of Sloan&apos;s work on hand, Dr. Coyle was in a position to put together the exhibit in a way that no one else in the country could imitate. It will include an astounding collection of Sloan&apos;s paintings, drawings, etchings, and illustrations from the entire timeline of his career. 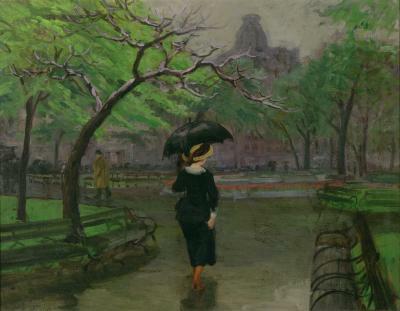 Some of Sloan’s most famous pieces from his time in New York City will be on display, including Throbbing Fountain, Night (1908), Wet Night on the Bowery (1911), Spring Rain (1912), and Wet Night, Washington Square (1928). An American Journey: The Art of John Sloan will open to the public on October 21, 2017 and will run through January 28, 2018. The museum is open every Wednesday through Sunday at 10 am, and it closes at 4 pm, except on Thursdays when it stays open until 8 pm. Having the opportunity to showcase the work of this iconic American realist painter is exactly what the founders of the Wilmington Society of the Fine Arts had in mind all the way back in the early 1900s. Seeing that vision come to life more than 100 years later is one of the very best reasons you could have for planning a weekend trip to Wilmington! Start planning today, order your free visitors guide. © Delaware Art Museum / Artists Rights Society (ARS), New York.